When Grace Chang ’09 headed off to college four years ago, she fully expected to welcome a break from dealing with disability issues, and she did—for a while. As the sibling of a severely autistic sister, the Evans Scholar from Gaithersburg, Md.,—a political science major and psychology minor—had experienced firsthand the struggles and joys of being in a family with a child with special needs. Yet, by her sophomore year, she was drawn back to that which is closest to her heart. While serving as a photographer for Swarthmore TOPSoccer (TOPS)—a community-based soccer program for young athletes with disabilities—and doubling as a substitute “buddy” for TOPS kids, Chang decided to establish a student-run version of Sibshop, a national organization dedicated to siblings of disabled family members. Founded by Don Meyer in Seattle, Wash., in 1990, Sibshop is a network of workshops and a component of the Sibling Support Project. 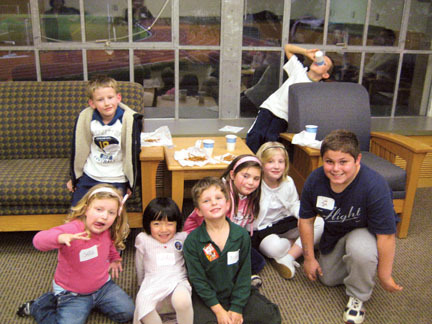 In spring 2008, Swarthmore Sibshop received funding from the Swarthmore Foundation and, for the first semester, partnered with TOPSoccer—working with the siblings of the TOPS athletes. “We ran our program at the same time and in the same space to maximize convenience for the families,” Chang says. The Sibshop curriculum is designed to help the siblings explore self-identity and similarities and differences between themselves and their special siblings in a fun environment. 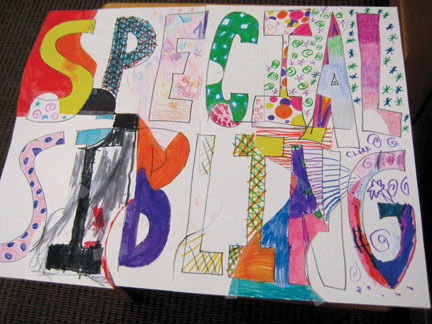 The activities also allow siblings to acknowledge how disability affects them and their families and to focus on their own needs. “It’s a great way for the kids to talk and play with other children who each get to feel like it is all about them,” says one parent. Today, Swarthmore Sibshop is a registered—though unfunded—student group with an official charter from the national network, and Chang is a research assistant in the social and economic policy division of ABT Associates in Bethesda, Md., working on education and social welfare. Looking to the future, a team of four student coordinators allows Sibshop to function even during busier academic times and ensures that underclassmen are always being trained to lead the organization. The 2009–2010 team—Erin Ronhovde ’10, Caitlin Daimon ’11, Kimberly St. Julian ’12, and Gabriela Moats ’12—faces the challenge of developing a long-term funding plan and continuing Chang’s legacy.